Until now, the Google Maps showed only recommendations based on personal commutation experience. The Kochi Metro Rail Ltd (KMRL) on Friday signed a pact with Google Maps, most popular digital mapping service, to extend the facility to the public. Kochi: Now commuters can know all information on Kochi metro services such as fares, stop timings and trip durations using Google Maps. "Kochi Metro on Google Map will benefit the users immensely as they can view the timing of trains at each station and expected duration of their trip. This is a continuation of the open data initiative of KMRL. Beca use of availability of auth entic information on wid ely-used Google Maps, commuters can have better informed travel, and we expect the same will attract more commuters to our system” said KMRL MD A P M Mohammed Hanish IAS. 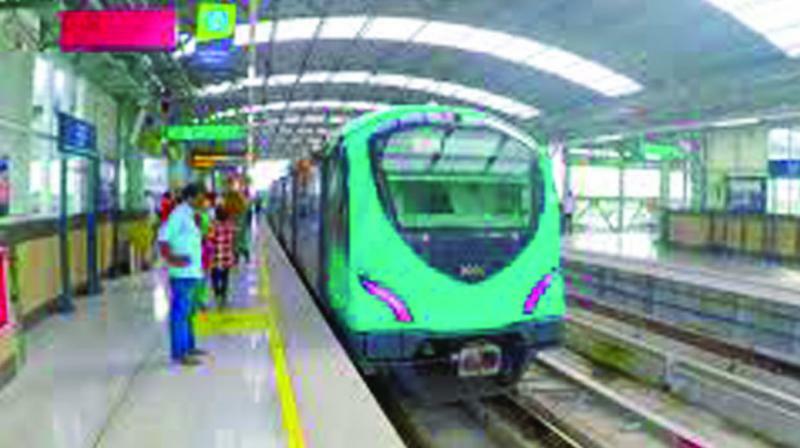 KMRL launched the train schedule and fare information in GTFS format and became the first metro agency in the country to adopt the Open data approach. GTFS stands for General Transit Feed Specification and is a format through which the transit data can be consumed by a wide variety of software applications. KMRL joins other metro agencies like Delhi Metro Rail Corporation, Bangalore Metro Rail Corporation in the country to push the transit data to Google Maps. Meanwhile, the Google Maps would soon also show details of bus services along the metro routes. “We’ll include timing of buses from each metro station so as to facilitate commuters plan their journeys in advance,” metro sources said.